Purchasing tickets and programs online is a simple and easy process - plus you gain express entry at the gate - online ticket holders do not need to queue in line at the gate, they simply go straight to the counter to scan their ticket and receive their wristband and/or program. Photo Release In nominating for this meet, swimmers agree that they may be photographed by Swimming Queensland’s approved photographer and that the photos may be used by Swimming Queensland at its discretion. To purchase your tickets or program online simply use the “Online Tickets” button on the event page of our website. 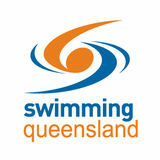 SQ Swim Shop The Swimming Queensland Swim Shop, located in Aquatic Reception, will be open during this meet. The SQ Swim Shop is dedicated to all areas of swimming, from learn to swim to high performance, including everything in between. Pool Deck Access Coaches must present their current ascta membership card to gain free entry to the meet and access pool deck. Coaches who do not hold a current ascta membership card are not eligible for free entry or able to access pool deck. 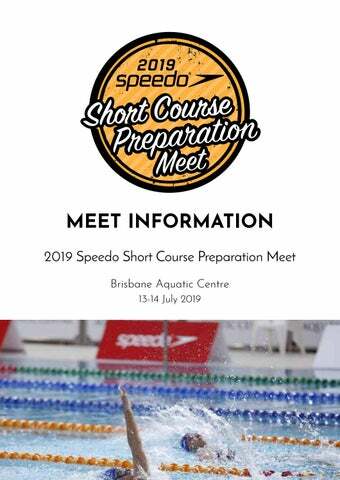 Support staff and international team staff who require pool deck access must apply by emailing Swimming Queensland at least three days prior to the meet start date, for accreditation passes to be available for collection at the front ticketing desk during the meet. Bags/Eskies Please note that Stadiums Queensland rules state that bags/eskies must be a pliable nature (soft to touch) and are to be no bigger than 40cm x 40cm x 40cm and must be stowed under seats. All other bags/eskies will be refused admission. provided, on request, to club race secretaries. PROGRAM OF EVENTS Saturday 13 July 2019 Competition Start Time: 8:30 a.m.
First Session Event 1. 2. 3. 4. 5. 6. 7. 8. Second Session Event 9. 10. 11. 12. 13. 14. 15. 16. Third Session Event 17. 18. 19. 20. 21. 22. 23. 24. PROGRAM OF EVENTS Sunday 14 July 2019 Competition Start Time: 8:30 a.m.
Fourth Session Event 25. 26. 27. 28. 29. 30. 31. 32. 33. 34. Fifth Session Event 35. 36. 37. 38. 39. 40. 41. 42. 43. 44. 45. 46. Sixth Session Event 47. 48. 49. 50. 51. 52. Qualifying times must have been achieved at an approved qualifying meet (either short course or long course) on or after 1 January 2018. Long course times can be converted. If there is no qualifying time stated for your age group, you cannot compete in the event/s concerned.